But luckily, we didn’t stop there. We stumbled upon some really nice satin at the fabric store that same week and thought of giving it a try. So, we threw together the lovely deep marsala satin fabric, together with our new favourite Gala lace and a light gold kisslock frame and voila! We admit that although this brownish red is hard to cordinate with silver tone or to cooler tone colors, it works so harmoniously with warm earthy tones and neutrals. 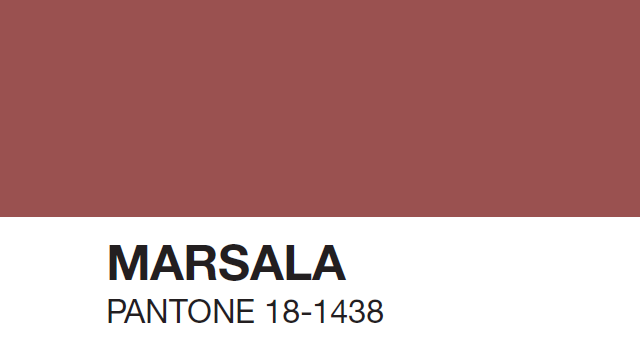 Not sure how to work the Marsala color? 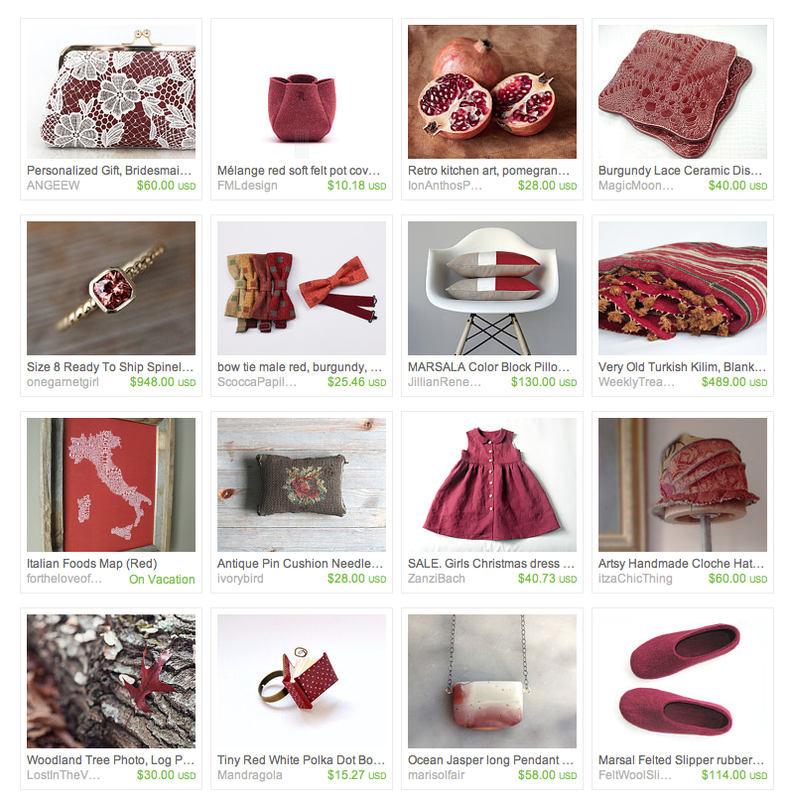 Check this Etsy treasury curated by SweetiePieDesign. 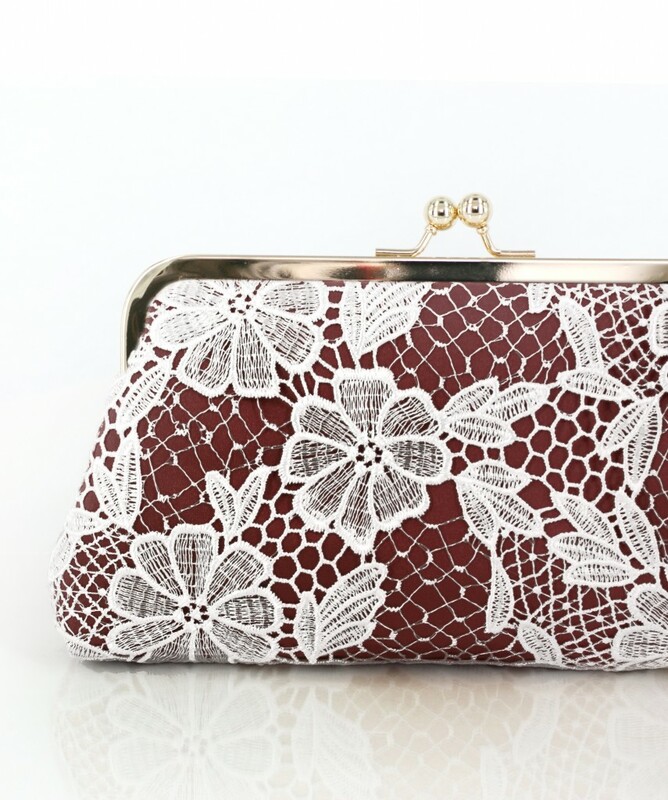 Lovely personalization inside and out! ANGEE W.® is trademark registered under Dodo Island.